Compared to the other three groups, these texts are the most diverse. For one thing, the town papyri yielded most of the literary fragments. Among them are more than a dozen fragments of Homer (Iliad and Odyssey), Demosthenes, and Dictys Cretensis. 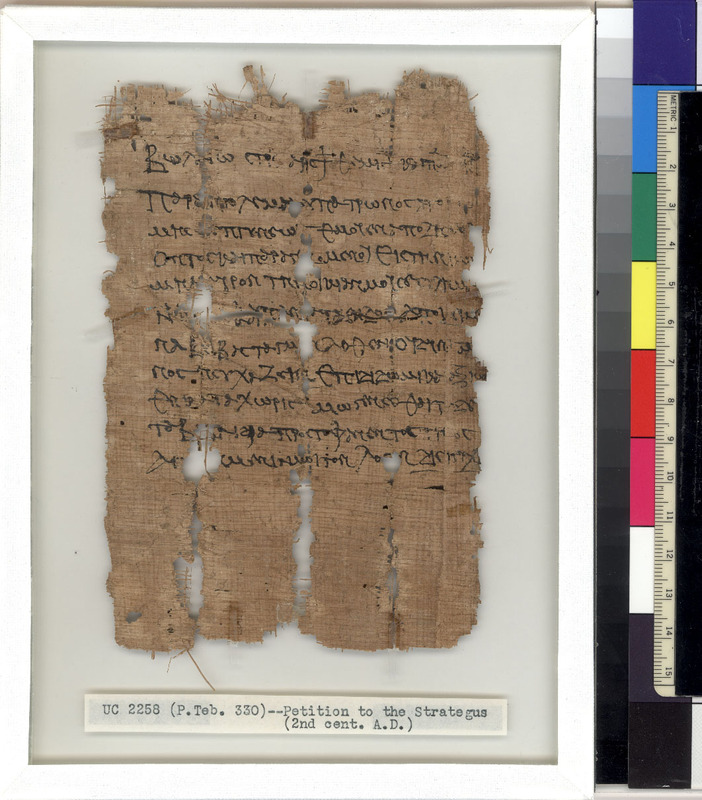 A substantial portion of the papyri from the town concerns the priests of Soknebtunis. Among other texts found in the town are a variety of legal documents: contracts, petitions, declarations, tax receipts. The majority of these documents date to the first three centuries CE, when Egypt was under Roman rule. To Bolanos, strategos of the division of Themistos and Polemon of the Arsinoite nome, from Ptolemaios son of Patron, of the village of Tebtunis. To Aurelius Julius Marcellinus, centurion, from Aurelia Tisais, whose mother is Tais, formerly styled as an inhabitant of the village of Tebtunis in the division of Polemon. strategos Aurelius Idiomachos to be placed on the register. Antoninus Caesar the lord, Choiak 26. Again, along with these Greek papyri, a few demotic papyri were found in the town. 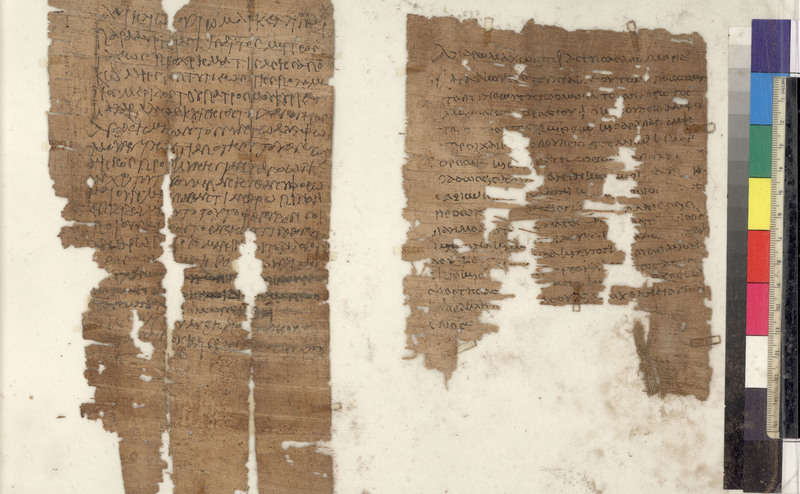 These papyri mostly belong to two private archives, one of the oil merchant Phanesis, son of Nechthuris, dating to the late third century BCE, the other of Soknopis, son of Sigeris, dating to the late second and early first centuries BCE. The demotic papyri are earlier than most of the Greek papyri from the town. The use of Greek became more common later during the Ptolemaic and Roman periods.